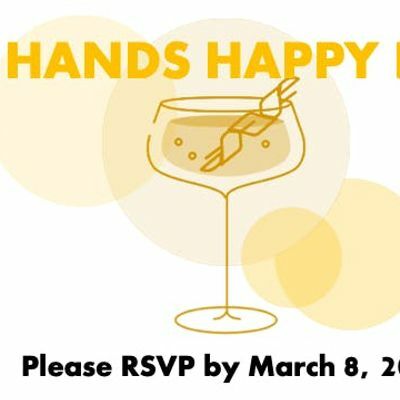 Join us on March 14, 2019 for an All Hands Happy Hour at Fado Irish Pub Midtown Atlanta. JP and Merrick will be discussing 2019 goals for Candid Partners and much more. 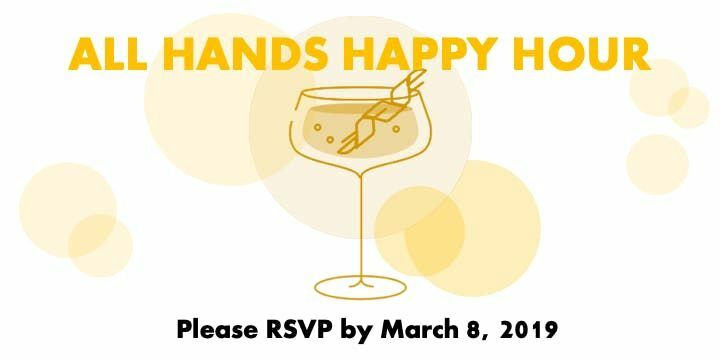 The All Hands meeting will start at 4:00pm followed by the Happy Hour. Drinks and hors d'oeuvres will be provided. Please email Y2hyaXN0aW5hICEgemhhbmcgfCBjYW5kaWRwYXJ0bmVycyAhIGNvbQ== if you have any dietary restrictions.